A membership to our Cheese Club is the perfect gift for the foodie or the cheeselover in your life. You can choose from two options. Either we can select five specially chosen, beautifully ripened premium cheeses from our range each month or you can select a fully bespoke option and have exactly what you want! Each month there will be a variety of textures and flavours as well as milk types. The package will also include biscuits designed to go with cheese. Cheese Club Membership is flexible: join for one month, or up to one year at a time. 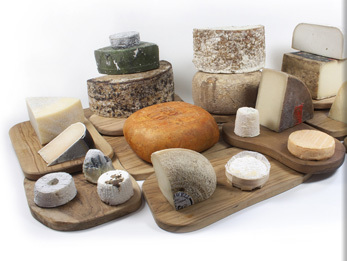 Cheese Club Membership costs from £38 per month including delivery.